Fast forward to a couple weeks back when I was thinking about some new ideas for Casual Marketer when I landed on the idea that I needed really make good on my threat to transition the business from a pure “subscription” model into a more fully fledged “membership” style business. Then I remembered my mental note to go back and re-read this book. Baxter has a number of really good clarifications around what is a membership business in this book. In fact, I think the overall strength of the book is in how she outlines what a membership “isn’t” and why changing your mindset around how you deliver value to your customers is the key difference in thinking required. 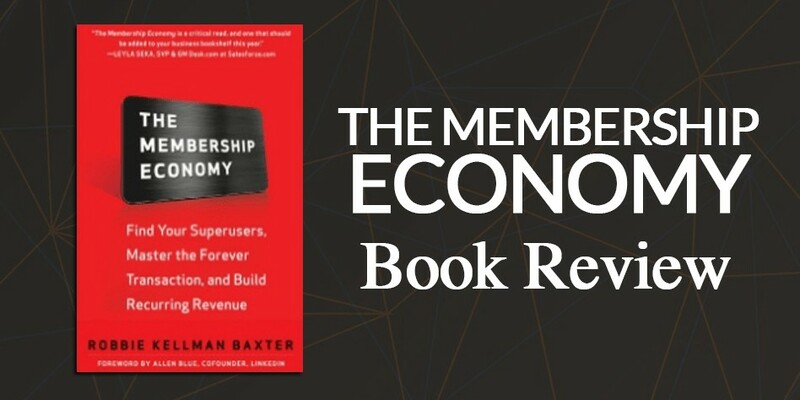 Throughout the middle part of the book, Baxter details the different models and some of the mechanics around running your membership program. She also does a really great job of highlighting where companies and organisations make a mess of their membership programs. A classic example she uses are airline loyalty programs where the airlines treat them as more of a cost centre and customers like a required nuisance – the average member begrudgingly uses it and the airlines consistently find ways to reduce the value. And that’s an interesting takeaway about how Baxter talks about membership – it’s not necessarily about the immediate monetary value. She does a good job of explaining and using examples from her own consulting practice where companies and organisations have focused their attention on developing something “sticky” for their members. That attention to detail about the ongoing value that the member would miss if they weren’t a member is a great point. Good memberships according to Baxter are accretive in that they keep adding value over and above what’s there today and they put the member in the centre of everything they do. Can You Put This Into Practice? “The Membership Economy” does a good job of explaining a lot of the principles around running a membership business. It goes into a good level of detail explaining some of the fundamental mindset hurdles that people run into when they decide to go down that path and Baxter is very clear about how to avoid those mistakes. The weakness is really more on the tactical side. Her experience is clearly centred around large enterprises and the Silicon Valley startup scene. For most smaller businesses, some of the specific tools and things she recommends are not particularly useful which makes that part of the book kind of useless. Ultimately, you’ll get a good grounding and some clarity around how to think about building a membership business, but you won’t have a checklist or a run sheet on how to set it up. I think it’s easy to put the tactical shortcomings aside when you read this book because even for someone like myself who is reasonably “au fait” with running membership businesses, I was still able to take away a lot from reading even a second time. Like many books of this nature, you get the most out of them when you are in a particular headspace when you read them – so for example, when I read it the first time, I didn’t really have a membership business in mind, but this time around I have a subscription business that I want to turn into a membership and as a result, I got a bit more out of the detail on this reading. The complaints that I have about the book are pretty small. 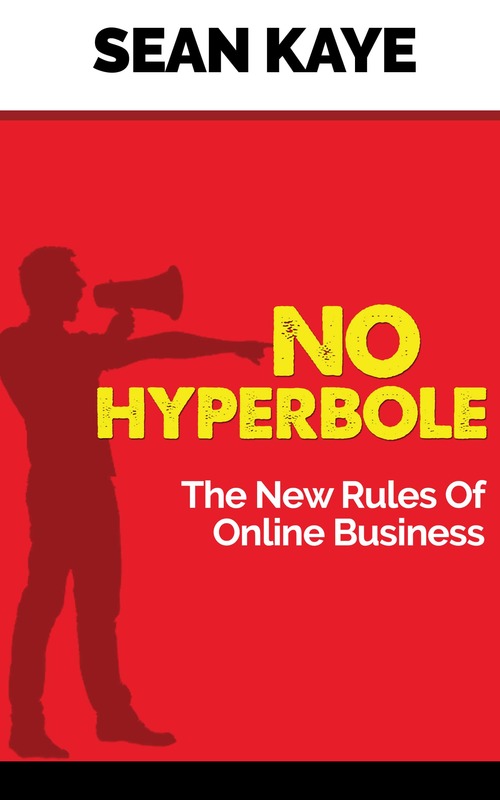 The first part of the book has too many lists, so for me listening to it on Audible it was annoying and the last 20% of the book has some “case studies” that I don’t think add much overall value to the theme of the book beyond showing you that Robbie Kellman Baxter has access to some big companies. But put those minor complaints aside because this is really a book worth reading. If you’re interested in setting up a membership business, this is book is going to be a great primer for you and help you get your thought processes together around really important membership topics like churn, onboarding and customer lifetime value, all of which are vital to running a successful membership business.